Plot: Jamie re-encounters his old school friend, Kevin, who has been suffering from depression and must make a choice between following his heart or society. I’m surprised there isn’t more buzz for this title. Premiered at the Hong Kong International Film Festival, I Miss You When I See You could be Simon Chung’s most confidently-mounted gay drama to date. He has had four LGBT features under his belt, including this latest one. A modest film with no artistic pretensions or delusions of grandeur, it features two actors who are well-cast and comfortable enough with the material to deliver intentionally understated performances. Jamie (Bryant Mak) is reacquainted with his old classmate, Kevin (Jun Li), after a long time, and while their feelings for each other creep up in subtle, suppressed ways, it is almost as if they are wallowing in their shared past, one that is marked by disappointment and regret. Jamie already has a girlfriend whom he is serious about, but he finds it difficult not to help his old buddy-lover who’s suffering from depression. Chung’s work takes these two themes—depression and homosexuality—and treats them as equals. Through Kevin, we see a man who is numb to life and isolated within himself. He can’t feel anything, not even an impulse, though Jamie’s presence does help him to grasp at some tangible manifestation of hope. Jamie is also not without his fair share of bad memories, with Kevin’s presence causing some disturbance in his heart. Are there really still feelings for this man? Or are those feelings just empathy? Because Chung’s approach is earnest and genuine, one could feel that the film is made with warm affection for its characters. Be it unfulfilled past relationships that have no closure or present dilemmas with elusive answers, I Miss You doesn’t offer a clear-cut resolution till the very end. To be able to sustain a low-key drama for 90 minutes with little indication or foreshadowing of how the narrative might turn out is challenging, but Chung manages to somehow make it tick. That is not to say that I Miss You is unpredictable (it is still a fairly conventional LGBT picture), but that it prizes the emotional ambiguity of its characters more than their personal trajectories and fates. And because of that, Chung’s work here is much more interesting than usual, and certainly worth giving a shot. 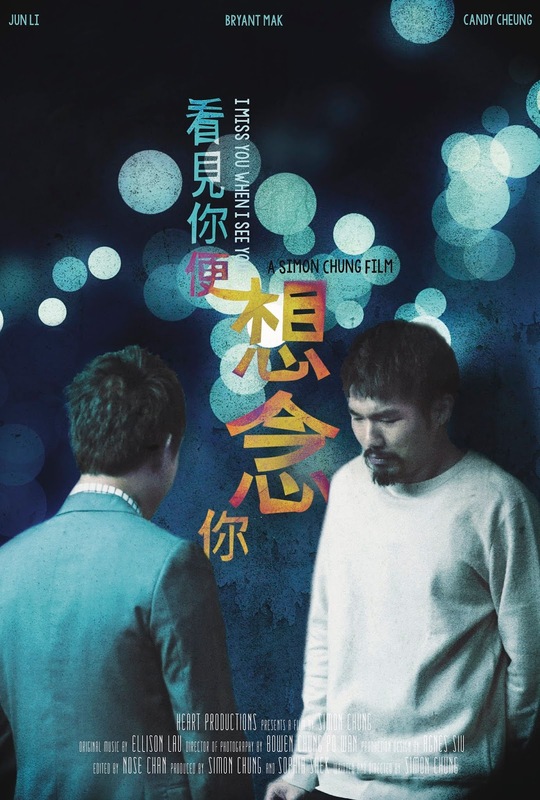 Verdict: A modest indie LGBT movie from Hong Kong about past relationships and present dilemmas, made with warm affection for its characters.